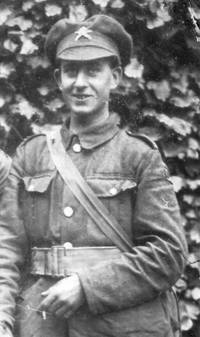 Private 35950, ‘B’ Company, Number 2 Section, 41st Battalion, Machine Gun Corps (Infantry). 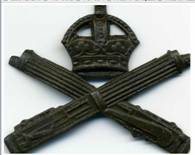 Formerly 24825 Royal Fusiliers. Enlisted in Harlesden. Awarded a campaign medal. Killed in Action 20 July 1918 aged 21 years. Buried La Clytte Military Cemetery, Ieper, Belgium . Born in Leigh on the 17 November 1896. Baptised on 7th February 1897 at St Mary’s Leigh. He took the bible awarded him by Hildenborough Sunday School in 1906 with him to war. Son of George and Annie Laura Batchelor of 22 Powdermills, Leigh, Kent.